If you’ve been hiding under a rock for the last week or so would you have missed the news that The Ned Sauvignon Blanc 2011 by Marisco Vineyards won the International Trophy for ‘Best in Show Sauvignon Blanc Under £10’ at the Decanter World Wine Awards in London. This is good news for two reasons, one, it is a super-tasty, very finely made sauvignon packed to the cap with passionfruit, crisp citrus and classic herbal characters; and two – you can pick it up for next to nix in supermarkets and liquor stores everywhere. overnight Thursday. The Ned was the only New Zealand wine to win one of the 28 international trophies up for grabs and believe me, it’s no cake walk getting hold of one. 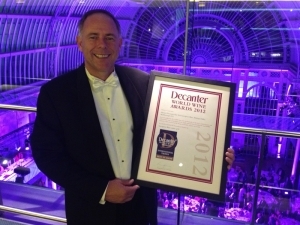 The Decanter World Wine Awards receive more than14,000 entries from around the world and are judged by 200 international wine experts. 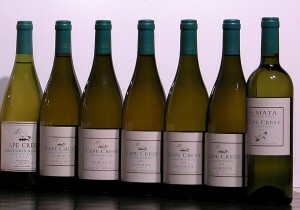 The Ned clawed itself to the top spot, leaving 500 other Sauvignon Blancs from around the world in its dust. “Because the UK is such a traditional market, and so important to our business, this win is priceless” says Marisco owner Brent Marris. “It will put us in a very strong position for selling the 2012vintage there”. Speaking of 2012, I wrote last week that I’d tasted my first 2012 Marlborough Sauvignon Blanc (Villa Maria Private Bin) and if that wine was anything to go by then things were looking really positive. Well I’ve just finished three days of judging at the NZ International Wine Show (including judging the sauvignon blanc class) and of the 23 gold medals awarded to sauvignon, “a huge proportion, 21 in fact are from 2012” according to competition organizer Kingsley Wood. At last weeks Speigelau International Wine Competition over 58% of the gold medals given to sauvignon blanc were from the 2012 vintage, totally reinforcing the talk that for sauvignon at least, the 2012 Marlborough vintage was pretty darn fantastic. All this talk of sauvignon winning awards at shows is fine, but one of my absolute, all-time favourite examples will never appear on the podium because the thought of entering just isn’t on the producer’s radar. 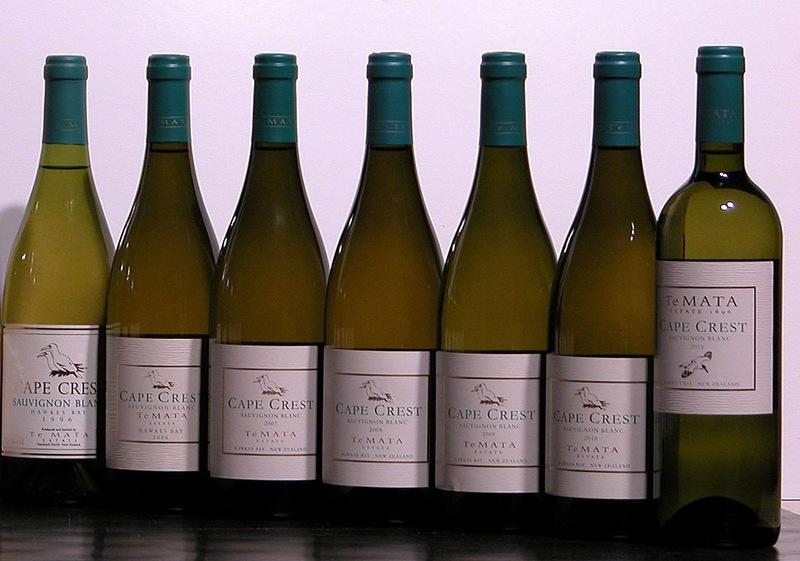 Since 1984, Te Mata Estate in Hawke’s Bay have been producing Cape Crest, a sauvignon blanc which is fermented in oak barrels with a splash of Semillon and more recently a squirt of sauvignon gris. Recently I was lucky enough to attend a vertical tasting of this wine and we went back as far as 1996 and right up to 2011. Those who’d firmly believed you can’t cellar sauvignon blanc were given a right serve as the ’96 still showed delicious preserved lemon and creamy, tropical notes, good acidity and there was even a hint of oatcake on the finish which was long and dry.